The Roxburghe. 4* hotel at pretty Charlotte Square. You can book it here. Enjoy food in the luxurious ambience of the Balmoral Hotel. Why not try the famous dish Haggis (entrails of sheep) for once. For Vegetarians: Scottish mashed potatoes are very tasty, especially if mixed with carrots. Take a stroll around impressive Edinburgh Castle. Walking through Edinburgh‘s old town sets you back in time and you can revive your spirits with some fine Whiskey. For cultural bites visit the National Galleries of Scotland and see one of Rembrandt‘s portraits. Scottish Cashmere will keep you warm and is a stylish souvenir. This is a helpful guide. Glasgow is only an hour train ride away, there you can have tea at the charming Willow Tea Rooms during sightseeing. 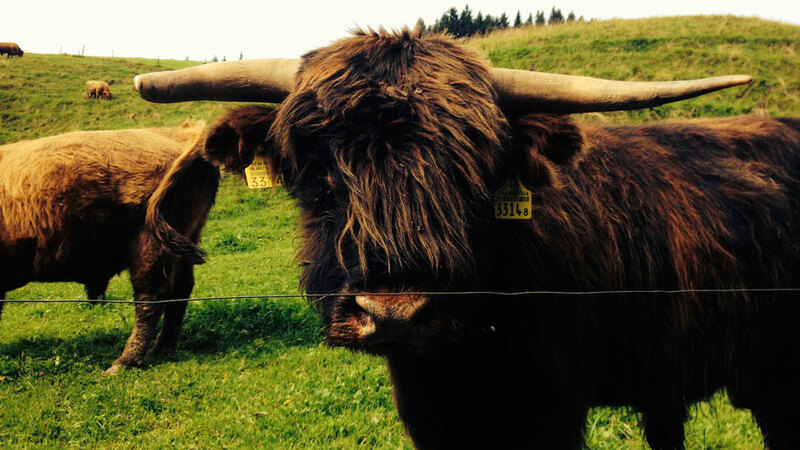 It is also worth to do a day trip to the picturesque Highlands with its foggy hills and shiny cattle. Many guided tours are combined with a visit to famous Loch Ness.